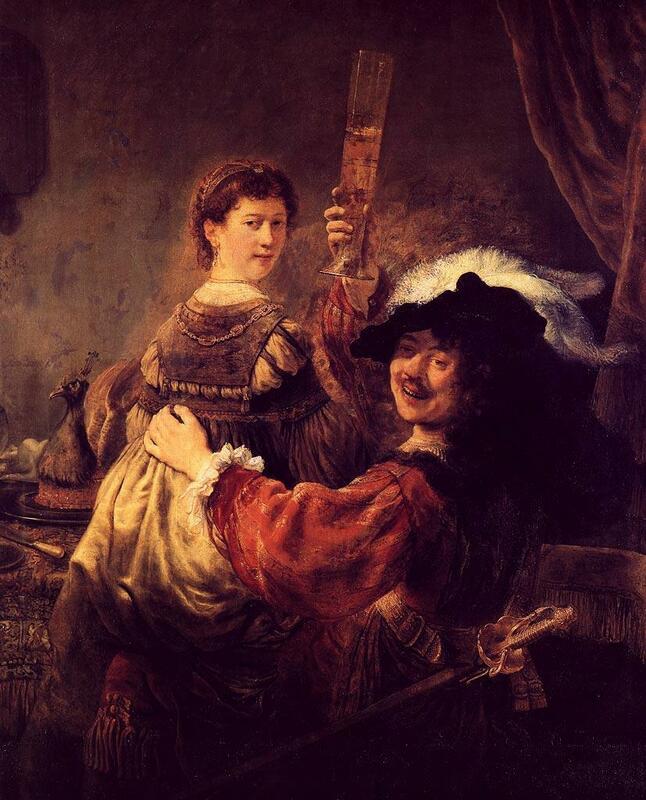 Rembrandt, “The Artist and His Wife,” 1635-1636. Believe it or not, back in 1934, some heterosexual men found themselves sexually insecure, or even threatened, around cross-dressers. This shows up full tilt in The Bearded Lady, or The Sinister Beard, as it was called when it originally appeared in the August, 1934 issue of Mystery. First, of interest, is the use of the word “wench.” I do not recall it being used in any of the cousins other writings, but here it is, twice. In the opening paragraphs, Ellery compares life, and himself, to a “Spanish wench.” I’ll spare you the details. Further on, a Long Island detective refers to another character, the one who found the corpse, as a “Nice wench, by God!” Without breaking dialogue, he immediately goes on to say there are no alibis. blah, blah blah. Throughout the story, the writers go severely out of their way to support Ellery’s heterosexuality with an obsessive observance of women as sexual objects. plump trembling shanks through the thin nightgown. Aren’t we all glad we do not live in such an age of heightened sexual insecurity? That’s right, you pointed it out right. But – anyway – this puzzle-mystery is first-class, maybe the better, in my opinion, of the whole volume “The adventures of EQ”.